Robert D. Cabana is a former NASA astronaut, currently serving as director of NASA's John F. Kennedy Space Center in Florida. In his current role, Cabana manages all NASA facilities and activities at the spaceport, including the team of civil service and contractor employees who operate and support numerous space programs and projects. Born in Minneapolis, Minnesota, Cabana graduated from the U. S. Naval Academy in 1971 with a bachelor's degree in mathematics. He was commissioned a second lieutenant in the U.S. Marine Corps and completed Naval Flight Officer training in Pensacola in 1972. Cabana then served as an A-6 bombardier/navigator with Marine Air Wings in Cherry Point, North Carolina, and Iwakuni, Japan. Returning to Pensacola in 1975, Cabana began pilot training and was designated a naval aviator in September of 1976, earning the Daughters of the American Revolution award as the top Marine to complete flight training that year. He graduated with distinction from the U.S. Naval Test Pilot School in 1981 and served in the Flight Systems Branch at the Naval Air Test Center until 1984. During his career, Cabana has logged over 7,000 hours in 50 different kinds of aircraft. Cabana was selected as an astronaut candidate in June 1985 and completed his initial astronaut training in July 1986. He was assigned to the Lyndon B. Johnson Space Center Astronaut Office, serving in a number of leadership positions, including lead astronaut in the Shuttle Avionics Integration Laboratory; Mission Control Spacecraft Communicator, famously known as CAPCOM; and chief of NASA's Astronaut Office. A veteran of four spaceflights, Cabana has logged 38 days in space, serving as the pilot on STS-41 and STS-53 and mission commander on STS-65 and STS-88. His fourth flight was the first assembly mission of the International Space Station in December of 1998. 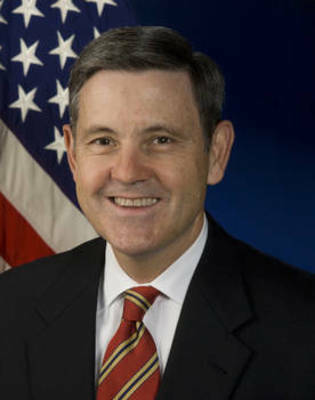 Following his retirement as a colonel from the Marine Corps in September 2000, Cabana was appointed a member of the Federal Senior Executive Service. He served in numerous, challenging senior management positions at Johnson Space Center in Houston, ultimately becoming deputy director. In October 2007, Cabana was appointed director of NASA's John C. Stennis Space Center in Mississippi. A year later he was reassigned as the tenth director of the John F. Kennedy Space Center. Cabana's many achievements have been recognized with induction into the Astronaut Hall of Fame and being named an Associate Fellow in the American Institute of Aeronautics and Astronautics and a Fellow in the Society of Experimental Test Pilots. He has received numerous personal awards and decorations, including the Distinguished Flying Cross, the Presidential Distinguished Rank Award, and the National Space Club Florida Committee's Dr. Kurt H. Debus Award. He also is a recipient of the Rotary National Award for Space Achievement’s National Space Trophy.